On top of supplying the widest range of high quality seed, we also provide a range of convenient services to make things easier for our customers when it comes to getting the job done on the ground. 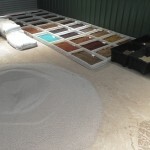 Services include seed treatment, seed mixing, seed batching and seed testing. 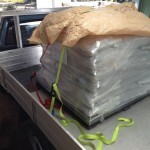 These services incur a relatively small extra charge but provide big savings in time and hassle. Diversity Native Seeds is an industry leader in providing pre-treated seed. The main group of species requiring treatment are the peas and wattles (Fabaceae and Mimosaceae family respectively). These are treated by soaking seed in hot or boiling water for a certain period. Once we heat treat the seed we re-dry it before mixing or packing. At this stage the seed can be safely stored for at least a year and will still be ready to germinate as soon as it is sown. 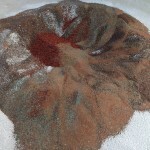 Buying pre-treated seed avoids the messiness of heat treatment on site. It also takes the risk out of having wet, treated seed on site that cannot be immediately used. Such seed spoils very quickly if not re-dried properly. In addition, without expert treatment a significant percentage of each batch, and therefore significant sums of money, can be wasted, because each species requires its own optimum treatment. We have conducted our own trials of optimum hot water treatment for the most commonly used species so we maximise the germination rate of each batch. Where required we also apply other kinds of treatment such as smoke water soaking or physical abrasion. We supply seed viability test results for many of our seed batches as a matter of course. However it is not possible to test all batches as we stock up to 300 species, each species often represented by five or more batches, but any batch can be tested on request. Many projects require several different seed mixes. Rather than simply supplying the bulk total of all species required, we can supply seed for each mix split into convenient batches at the right ratios, with each species packaged separately or pre-mixed. For the customer this removes the hassle of weighing and dividing single-species bags of seed at the right ratio for the mix in question. In addition we can add cover crop seed, bulking agent and other additives at this stage. The split batches are designed to represent convenient portions that fit the method and scale of application. For example we can provide batch sizes suitable for the tank of a hydromulching truck, or suitable for one hectare coverage through a super-spreader. This makes application and calibration much simpler, again saving time and hassle. Depending on the final method of application, seed may need to be processed in different ways. For example, many native grasses are too light or too rough to be evenly applied through a drill, whereas such material can easily be applied through hydroseeding. We are happy to discuss these issues with our customers and ensure that the product supplied is suited to the job.